Momentum’s latest video celebrates reaching 40,000 members despite attacks on the group from both Conservative and Labour MPs. The video features figures and views from across the political spectrum, including Labour’s Tristram Hunt, who described Momentum as a “shady group”, and Chuka Umunna, who called for it to be “wound up and shut down”. 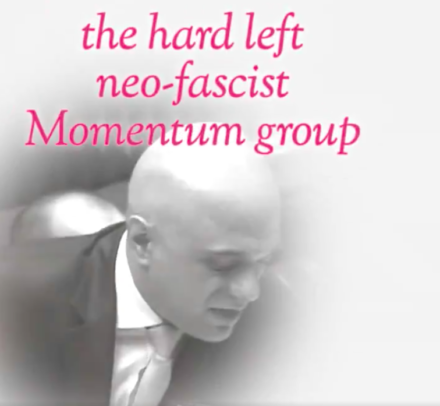 Writer Toby Young’s “neo-Marxist cult” comment is also included, as well as cabinet minister Sajid Javid’s use of parliamentary privilege to describe Momentum as “neo-fascist”. The grassroots group, which grew out of Jeremy Corbyn’s leadership campaign, recently overtook the Green Party with over 40,000 members. Labour Party membership now stands at over 540,000, and there is a drive by party activists to reach a million. CCHQ does not regularly publish the Tories’ membership figures, but Professor Tim Bale estimated in July 2016 that the Conservative Party has between 130,000 and 150,000 members.